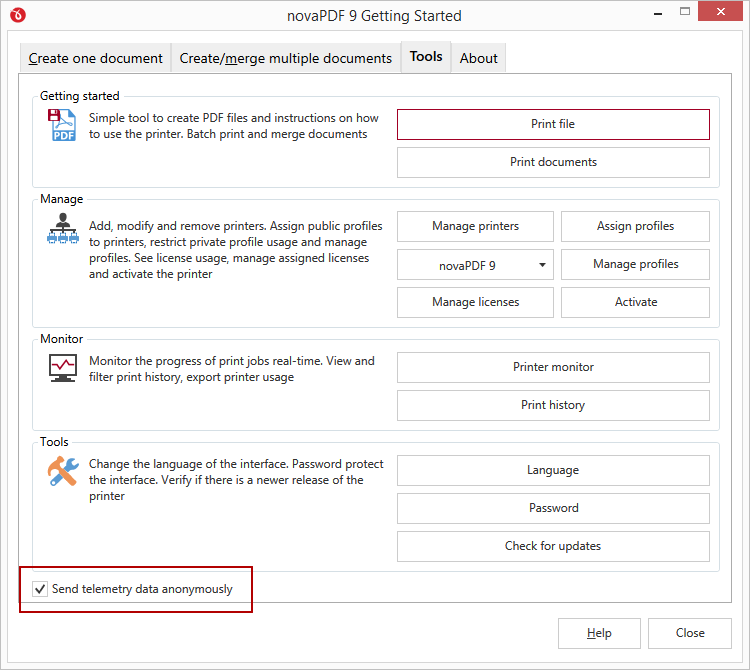 We have released a new minor version of novaPDF, 9.1, which contains important features, updates and fixes. This is a new major version with important features and updates thus we highly recommend the upgrade. You can download it here: Download novaPDF. 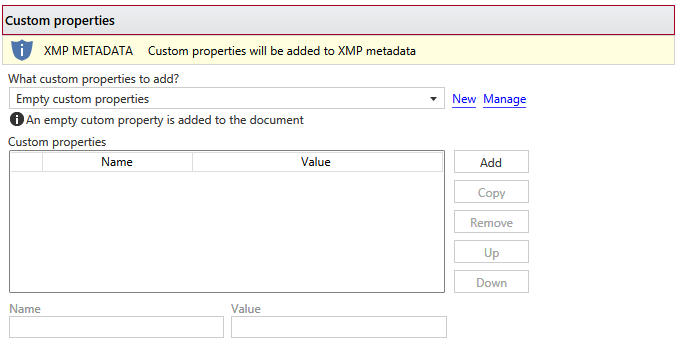 Add Custom Properties as XMP Metadata. From the Info section you can now choose to add your own custom name/values to be included as extended metadata information. Up until now you could set only the regular metadata information (subject/title/author/keywords), but starting with version 9.1 you can add custom XMP metadata information. Added option to include Document Info as XMP Metadata. 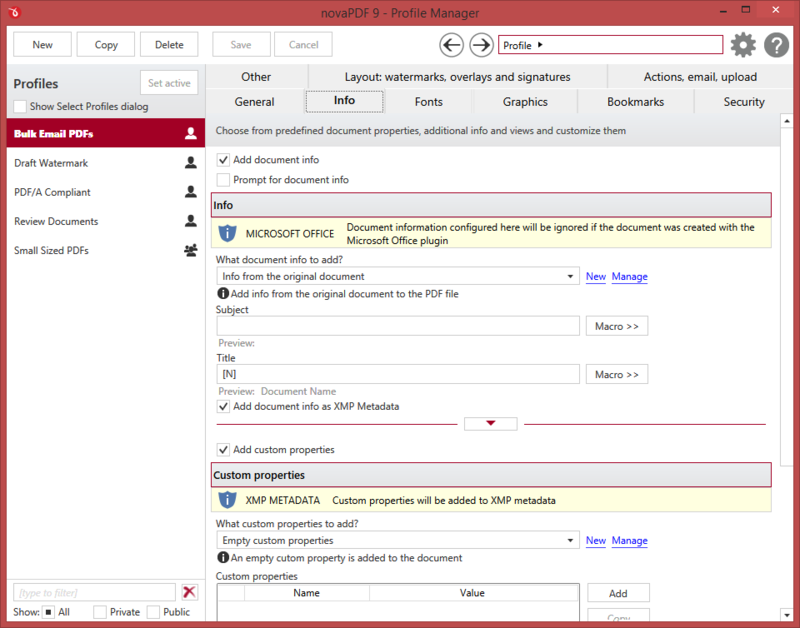 Previous versions of novaPDF include the option to add Document Information to the resulting PDF file (subject/title/author/keywords). Until version 9.1, these options were added as regular metadata information, viewable in any PDF reader. Starting with version 9.1 you can optionally choose to have those added to the extended metadata information. Option to send telemetry data. Version 9.1 includes optional anonymous telemetry data collection. During the installation you can choose if you want to allow novaPDF to send anonymous telemetry data. Once installed, you have the option to enable/disable that also. The anonymous data helps us understand how novaPDF is used and improve your experience. Notice to previous versions users (novaPDF 1.x – 8.x): novaPDF 9.1 will be installed separately and allows you to test it before deciding to buy the upgrade.